This book has been created with the intention of providing a run through of the essentials of the subject. An organized study of entrepreneurship has always been debated, because of the great degree of the ‘doing’ aspect of the subject. It also has emerged from the area of management science. Though the subject is at its infancy, it is also assuming its rightly deserved place as an inter-disciplinary rather multi disciplinary science. Hence the subject undergoes changes, rather rapidly in comparison with other older subjects. 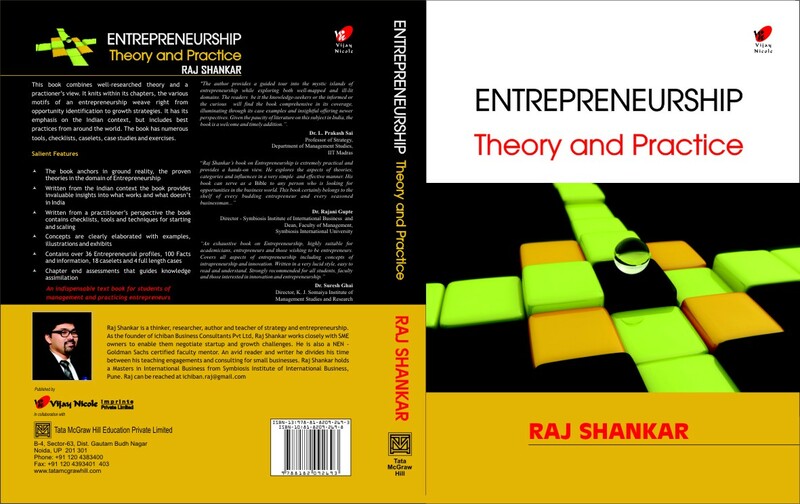 The book attempts to provide the reader a sound introduction to the various aspects that comprise the subject of entrepreneurship. The book is structured to mimic the real journey of entrepreneurship – from opportunity sighting to managing and growing the venture. The book intersperses concepts, frameworks, examples, statistics, references and illustrations to help students understand and connect to the topic that is being studied. 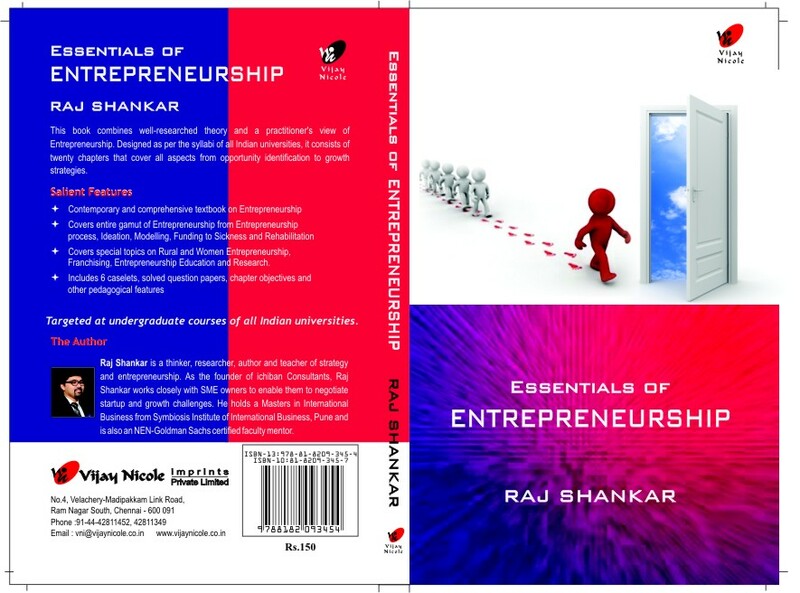 The caselets and the profile of entrepreneurs provided towards the end of the book aims to ignite and inspire thoughts around entrepreneurship. Apart from chapter end review questions, there are an ample number of solved question papers and a fully solved paper to help students negotiate the demand of the curriculum. Designed to align to the undergraduate syllabus of many leading universities, this book will serve as a primer for the uninitiated students, taking the subject for the first time. For more information on the book, please feel free to contact me (ichiban.raj@gmail.com) or the publishers Vijay Nicole. Book #1: Entrepreneurship: A Life Of Commas, Not Full Stops! If you are on an entrepreneurial route or intend to take one, these thinkets could be your perfect companion- making you laugh, think, resonate and argue. Thanks Suail for your wishes. We are but instruments in the hand of God. Hence its his creation. I am happy to have been given the opportunity to manifest this work on earth. Thanks for your prayers and wishes. Good Luck to you in all your endeavors too. Congrats Mr.Raj. I ‘m Harish. Great to see you doing fantastic work..Keep going and all the best..
Hi Raj Shankar, tried contacting you couple of times but could not get you on the phone. some reason or the other I landed on the topic of Business modeling and planning browsing your book “Theory and Practice” and I felt very useful….because I was to deliver a seminar on the same. well researched, practical and useful! Happy to hear Bharat that you found the book useful. Thanks for your kind words. Many congratulations for all the books! Your books have been a great learning tool for our students. 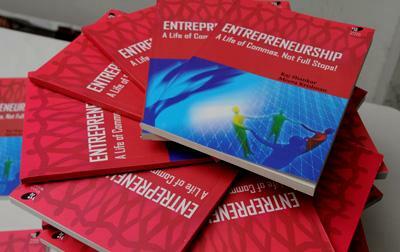 However, lately your book “Entrepreneurship: Theory and Practice” is not available in the market. Please do something about it.